NOTE: This is a long, information-packed article on Osteopathic and Alternative Treatments for Sciatica. To make it easier to navigate, use the Table of Contents button to your right! Sciatica is the medical term used for pain that travels down the back of the whole leg to the ankle and can even affect the sole of the foot. Sciatic pain can come on gradually were virtually overnight but the main symptom is pain or discomfort that usually centers offside of the lower back and radiates down one leg. Sciatica is commonly referred to as a symptom set that might be caused by irritation or general compression of one of the five nerve roots that give rise to the sciatic nerve. It can also be the irritation or compression of the sciatic nerve, itself. Not all back pain is caused by a herniated disc or sciatica. We tend to be obsessed with scary sounding medical names in our society. Individuals who suffer from sciatic pain will find that the pain and theories vary greatly both in the intensity and in location, between patients and sometimes in the same patient. In some cases an individual will have minimal pain that feels like a slight ache or pins and needles but in other cases the pain can be extreme making any movements excruciatingly painful. The pain follows the path of the sciatic nerve which reaches from the lower back through the buttocks, down the length of the legs and into the feet and toes. Although sciatic pain can affect anyone at any age it tends to be more common in men over the age of 40 and can last for days, weeks, months or even years. The sciatic pain is also common in women who are pregnant and have poor flexibility in the lower back. The most common cause of sciatica is pressure on the sciatic nerve from a herniated or slipped vertebral disc (‘Pinched nerve'). Between each of the vertebrae in your spine lies a disc of cartilage to act as a cushioning shock-absorber and allow flexibility of the spine. With age and wear-and-tear, these discs may become brittle and compressed – allowing part of the disc to protrude from its normal position within the spinal column and press on the nerve root. This generally happens in people between the ages of 30 and 50. Other less common causes of sciatica include narrowing of the spinal canal (known as stenosis), spinal tumors, injury and trauma. Various other problems affecting the bones, joints and muscles of the back and pelvis can also cause sciatica though these may not always be easily diagnosed, sometimes leaving the cause of the sciatic pain unknown. It's important to bear in mind the terms sciatica is not a diagnosis, it rather is a description of a symptom. Importantly, a physician should also look for the cause of the symptom in order to decrease the possibility that these same issues will arise again in the near future. People in their 30's and 40's are most likely to develop sciatica, which is uncommon in younger people. Physically demanding occupations which require heavy lifting, driving long hours or twisting the back are all risk factors for developing sciatica. Depending on the cause, sciatic pain often resolves on its own in approximately six weeks. Depending on the cause of sciatica, numbness or lameness in the affected limb may occur as well as loss of bladder and bowel control in some cases. In severe cases of sciatica, permanent nerve damage may occur. If you feel tingling, pins and needles, tenderness, numbness or burning sensation in one of your limbs then you might have sciatica. Still, it is not a smoking gun and could easily be another problem that is causing these symptoms. Be sure to visit a health professional and get their opinion before jumping to conclusions. A pinched nerve can cause the exact same type of symptoms and is referred to as sciatica-like or pseudo sciatica. Be sure to find out from your doctor if you are dealing with sciatica-like symptoms and not sciatica itself. You can avoid a lot of treatment and medication that really isn't necessary. Pinched nerves are caused by tightening, stretching or the compression of a nerve. Nerves like the ulnar, femoral, radial and sciatic are more vulnerable because they pass over the bones. These relatively minor symptoms can often be treated effectively with OTC remedies. There are many alternative remedies that work effectively for sciatica-like symptoms. No single remedy will give better results than adequate amounts of rest, though. Most people with sciatica are prescribed pain-killers or anti-inflammatory medications to relieve the pain. These generally provide some relief but have the potential to cause serious adverse side-effects. Medications are usually used in combination with physical therapy and stretching/strengthening exercises as well as hot and cold packs. In severe cases of sciatic pain that does not respond to the usual treatments, conventional health practitioners may advise injections of anti-inflammatory steroids into the affected area. These injections are not always very effective and can also cause serious side-effects. Because of the dangers, there is a limit on how many of these injections an individual can receive – not usually more than three per year. Surgery to remove the herniated part of a disc is sometimes performed on people with severe symptoms like weakness or incontinence or if the pain is worsening despite treatment. Standard medical treatments are not the only method for pain relief when it comes to sciatica. A patient who doesn’t necessarily want to use drugs or even surgery may choose a different course of action. Here are some of the most effective alternative methods for treating sciatica. If drugs are not your thing, there are other ways to try for pain relief. If your pain is constant, anti-inflammatory drugs may not be the best choice as they can lead to digestive issues from chronic use. Here are a few of your choices for alternative therapies. Ice packs can be used to numb the pain. Place one over the pain center with a towel or cloth in between the skin and the ice. This prevents ice burns from occurring. Treat the area in 20-minute increments. If cold alone doesn’t stop the discomfort, alternate with hot packs. Heat therapy can increase blood flow to an area to help reduce inflammation deep within where the nerve lies. Taking a warm bath can also help with reducing inflammation. Using Epsom salts can draw toxins out of the body. If the cause of your sciatica is the piriformis muscle in spasm, the salts in combination with the hot water can reduce that. These can be found at any pharmacy or holistic store. Use of any liniment or cream containing capsaicin (a component of hot chilies) provides natural heat that reduces inflammation. St. John’s wort oil could also help when rubbed on the site of pain three times a day. The art of massage is designed to stretch the muscles, break up adhesions in the body and to increase blood flow for better toxin removal from the body. A regular massage could reduce stress and provide the stretching that you need. Inform your therapist about your areas of pain so that they can pay special attention to them. Stretching helps to gently lengthen the muscles and provide the body with greater flexibility. This can be a help for proper body alignment and reduction of injury. If you are having trouble stretching alone, employ the expertise of a physical therapist. They can help by showing you a variety of exercises to stabilize the spine and hopefully reduce compression of the nerve. When you are able, try doing them on your own. Treatment by an osteopathic physician for sciatic pain is usually conservative at first. This is the cause most commonly the pain will greatly diminish or even disappear within the first month when the patient is able to support the back and avoid all strenuous physical activities. Physicians will recommend application of ice packs for 10 to 15 minutes to to three times a day. It's important to remember never to place ice directly over the skin but in fact to use ice packs specifically produced for this activity. Individuals who get adequate amounts of sleep and potentially take anti-inflammatory drugs may also find great relief from sciatic pain. Occasionally doctors will recommend injections of corticosteroids into the space around the spinal column for temporary relief of pain and decrease in inflammation. At this time there is little or no clinical evidence that injections of zero it's into the sub to roll space have any benefit to treatment of sciatic pain. Doctors will also recommend strongly that bed rest of greater than 24 hours may decrease the functionality of the individual and in fact increase the stiffness of the lower extremities. Activities should be limited by pain but individuals should also be encouraged to move around occasionally. It's important to use a firm mattress so the lower back is not under any greater stress. Using Osteopathic Movement Techniques the doctor will help reduce the swelling and pressure around the disk that is placing pressure on the sciatic nerves root. They can also help to reduce contractions of specific muscles that may be putting extra pressure on the sciatic nerve. Oftentimes once the pain has subsided the physician will also recommend exercise in order to strengthen the core muscles and decrease the likelihood of a re-occurrence. These exercises should be supervised by a physical therapist in order to decrease the risk of further injury. Individuals can help to take care of their own back by keeping physically fit and exercising to strengthen abdominal muscles and back muscles. It is important to maintain good posture, both when sitting and standing that will avoid increasing pressure placed on a sciatic nerve roots. Men should avoid carrying their wallet in the back pocket or keep its contents to a minimum because when seated this while it offsets the hip. There are several homeopathic remedies that will help if you choose to go with an OTC treatment. The most common remedies for sciatica-like symptoms are rhus tox and arnica. Rhus tox should be used if the pain gets better when you put a heating pad on it and arnica is the best choice if you symptoms follow an injury. Another excellent remedy is a herbal tea made of equal parts of Skullcap, Siberian Ginseng and St.John's Wort. Supporting the health and functioning of the sciatic nerve is an important factor in moving around comfortably, whether it’s during a workout or while simply completing everyday tasks. SciatiGon supports the well-being of the sciatic nerve, so you can maintain comfort throughout the day. Available in convenient tincture form, it’s safe and easy to use, without the risk of side effects. This Eastern practice has been around for thousands of years. It revolves around the idea that the body is full of “chi,” a life-force energy that runs throughout the body in lines called “meridians.” Interruption of the chi energy can lead to imbalances in the body and illnesses. With acupuncture, thin, very fine needles are inserted painlessly into the skin at precise points on the body that coincide with these meridian lines. Placement is based on your pain symptoms. It is meant to unblock chi lines and restore health. Trained clinicians make adjustments to the spine to promote better column alignment. The type of manipulations performed is based on your symptoms and areas of pain. Each person is different so the treatment is tailored to you. 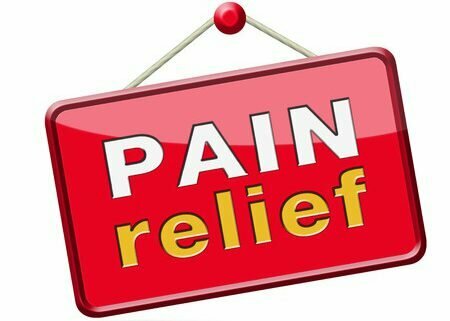 More than one session may be needed for complete pain relief. This therapy is related to acupuncture but pressure by the hands is used instead of needles. The same maps of points that are used in acupuncture are used in acupressure. This is a method that promotes healing through the mind-body connection. It is most often used for stress management. The idea is to learn to control your incidence of pain. This method has not been researched thoroughly as to its validity for pain relief, but patients have been helped. A tennis ball is used to treat sciatic pain by placing it under the buttock where the piriformis muscle is located. The idea is to provide gentle pressure by rolling back and forth to increase blood circulation to the area and stretch the muscle to reduce irritation of the nerves. ~ Be sure your diet includes lecithin. It is great in helping to regenerate nerves. ~ Try to stay at a healthy body weight. ~ If your job requires you to sit all day then you should invest in a chair with good ergonomic properties and be sure to get up and stretch often. ~ Avoid sitting in the exact same position for hours on end. ~ Learn proper lifting techniques (especially when lifting heavy objects). You should bend you knees and not your back. ~ Try to maintain good posture at all times. Be sure to avoid activities that might aggravate your problem. You might have to lay off the basketball or bowling until you can get your symptoms under control. Also, try some light muscle strengthening and stretching exercises. These will help you avoid the symptoms now and in the future. You can find some good exercises by searching the internet. A pinched nerve is a relatively minor condition. The bad thing about it is that it can easily lead to other conditions such as carpal tunnel syndrome, tennis elbow or peripheral neuropathy. Make sure that you find out exactly what you are dealing with because any of these can lead to a permanent disability if they are not corrected in time. Supporting the health and functioning of the sciatic nerve is an important factor in moving around comfortably, whether it’s during a workout or while simply completing everyday tasks. SciatiGon supports the well-being of the sciatic nerve, so you can maintain comfort throughout the day. Available in convenient tincture form, it’s safe and easy to use, without the risk of side effects. SciatiGon is a 100% safe, non-addictive, natural herbal remedy specifically formulated to promote sciatic nerve comfort and health. SciatiGon is also a great complementary remedy to homeopathic InflammaGo. Learn more about SciatiGon now. I ordered sciatigon for my husband, but he refused to take it. He is claiming it Quack medicine. How can I convince him it is legitimate. My only other comment is that his sciatica must not be too bad if he’s not willing to try something which has a possibility of helping and has a money-back guarantee. I certainly wouldn’t give him much sympathy the next time he complains of the pain!